Marco was born in Novara, Italy and currently resides in Chestertown, Maryland. Marco matriculated in Animal Science studies at the State University in Milan, Italy. He created with others the Eques Cooperative Society S.r.L. in order to promote equestrian sports in Tuscany. He has also completed courses for Vaulting Trainers. In Italy he worked for the World Wildlife Fund organizing and managing camps for both adults and children in national parks. He is a Certified Registered Instructor with the Professional Association of Therapeutic Horsemanship International (PATH Intl). He has attended training for managing ADHD, Bipolar Disorder, Anger Management, and Autism. 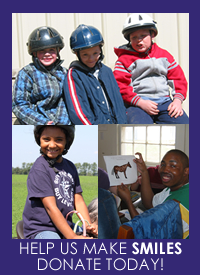 In addition to working for KART, Marco is the head instructor for MATRA (Mid-Atlantic Therapeutic Riding Association) and he is employed by Crossroads Community as a Rehabilitation Specialist and Therapeutic Mentor for children, adolescents, and adults. He also teaches private, individual therapeutic riding lessons. Genna is the daughter of the owners of Worthmore Equestrian Center. She is an experienced rider. In stable management she shares her valuable first-hand, practical knowledge in caring for the horses and the property with the children. Pam has worked in the horse industry for over forty years. She is a Certified Instructor with the Professional Association of Therapeutic Horsemanship International and a Certified Equine Specialist with Equine Assisted Growth and Learning Association. In 1992 she had a major life change when her son, Scott, was diagnosed with autism and Pam became extremely active in disability advocacy. Pam is now able to combine her two great passions by providing equine assisted therapies activities while managing a full service, high quality equestrian center that houses over forty horses. Jen previously held a NARHA (now PATH) advanced instructor certification and worked with KART many years ago. After spending 14 years in the Caribbean and Canada with her family, she is back in Kent County and working on her PATH certification. She currently has an IT (Instructor in Training) status and hopes to complete her certification in the summer of 2018. She is a “B” graduate pony clubber and has been involved with horses most of her life. 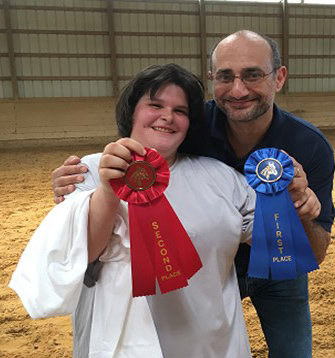 She loves to see the joy and sense of accomplishment that horses bring to the KART participants and is happy to assist in teaching them the fundamentals of horsemanship.